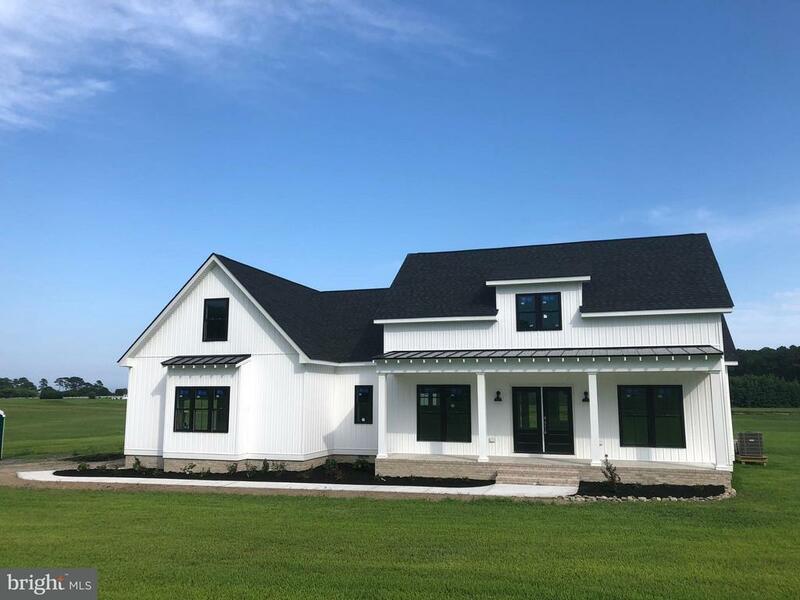 *Move in ready-New Construction located in the sought after community of Equestrian Shores * This 4 bedroom, 3 1/2 bathroom situated on 1.53 acres is one of a kind. Home offers all high end finishes! This is the builders own home! Solid wood trim throughout the house, huge finished room on second floor- granite tops in the bathroom and kitchen- over sized windows add natural light throughout the home, bull nose corner drywall- you have to see this home to understand the quality in the finishes! -Open floor plan with 9ft ceilings, designer square columns on the front porch, luxury tile throughout the home- attention to detail throughout, stainless steel appliances, and gas fireplace. The master suite is a must see with a freestanding luxury soaking tub! Beautiful pond in your own backyard! Moments away from Public Landing which offers piers, boat ramps and a picnic area, perfect for the crabbing, boating, fishing or an evening stroll to encumbrance the water views of the Chincoteague Bay.